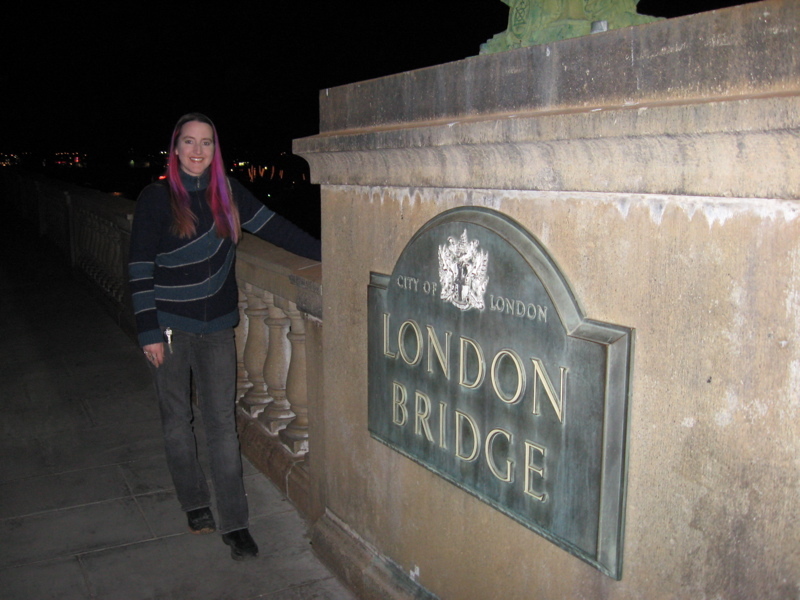 My last stop on my amazing southwest trek was the London Bridge in Lake Havasu City, Arizona. Built in 1831, by the 1960s, London Bridge, situated over the Thames, was sinking into the river bank. 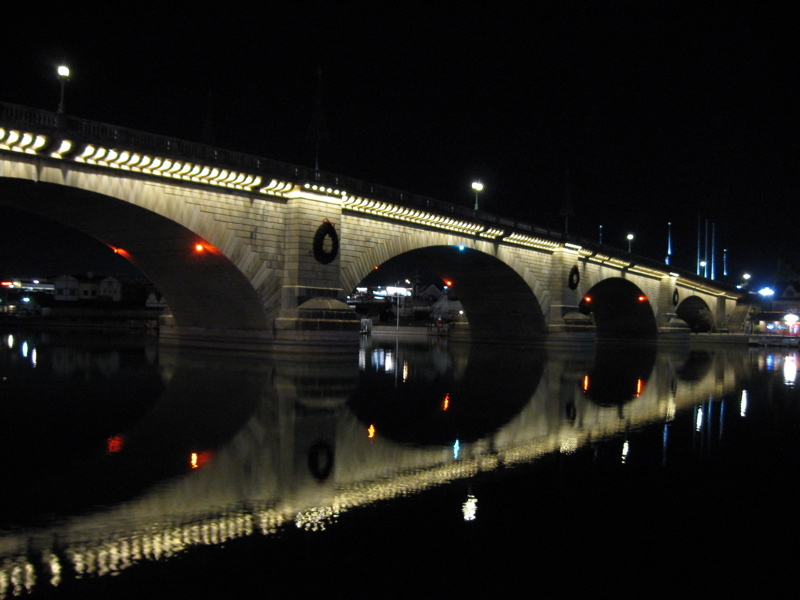 The government put it up for sale, and it was purchased by the founder of Lake Havasu City. Taken down and reassembled brick-by-brick, the London Bridge now looks out over a far different landscape. 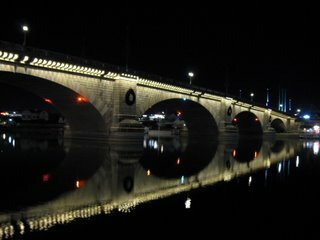 We walked across the bridge, seeing it reflected in the water at night. A beaver swam by, giving a hint that despite the seemingly urban setting, the Colorado River still courses here in this section of Arizona. As we walked, I imagined London as it was in the 1800s, and pictured the people that may have stood on the bridge, perhaps in the exact spot I stood: H. G. Wells, George Gissing, Jules Verne, Mary Wollstonecraft Shelley. 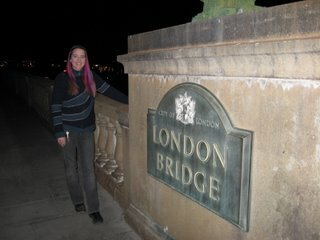 The same year the London Bridge was built was the same year Frankenstein first appeared with her name on it, instead of the previous anonymous edition. It was magical to stand on this transported bridge, which in turn transported me back to its origins across time and the sea. Sometime between the years 1040 and 1100, the ground trembled, strange noises booming from inside the earth. 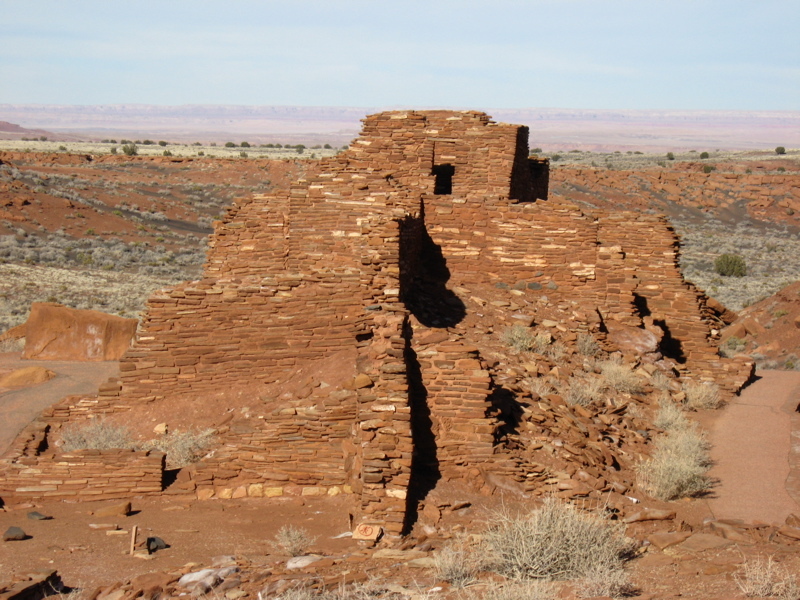 The people living near the future Wupatki pueblo site took warning and evacuated the area. Soon after, lava spewed high into the air, spraying out of a fissure in the earth. The molten rock crashed back to earth as lava bombs and cinders, covering the area. 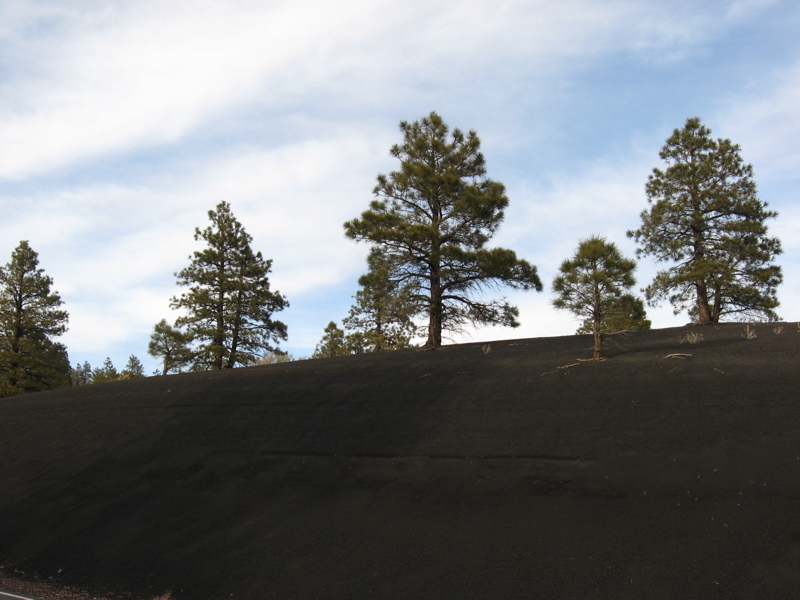 As more and more eruptions occurred, more cinders fell to the earth, creating a cone around the fissure. Dust cascaded down more than 800 miles away. Two massive lava flows seeped out, destroying everything in their wake. After six months to a year of eruptions, the cinder cone erupted a final time, throwing a blanket of red and yellow embers over the rim. It was these red embers that inspired intrepid explorer John Wesley Powell to give the volcano its name, Sunset Crater. Trees and plants are finally creeping up between the cracks of lava in this once blasted area. 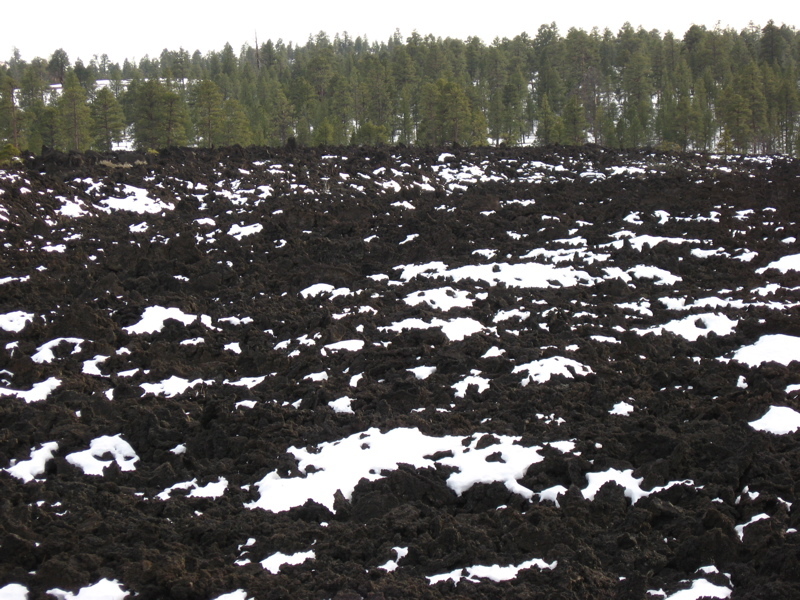 A blanket of snow covered the black, chunky lava. It's a beautiful area now, but it isn't hard to imagine it 900 years ago, the air thick with ash, and the crackling of cooling and oozing lava filling the landscape. I'm taking a moment out of my travel blog to tell you that my short story "The Mansion of Ghoulish Delight" is appearing in the new anthology Mystery Date, which is now available from DAW Books. I have some excellent company in this anthology of truly talented writers of sci-fi, fantasy and horror. I just picked up my copy and have been thoroughly enjoying the stories. It's available in all the usual places: Borders, Barnes and Noble, Amazon, and local and independent bookstores. Click here for places to buy. Outside Flagstaff, Arizona, stands the stunning Wupatki National Monument. 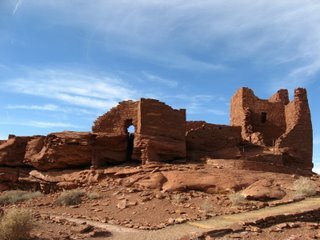 Here, more than 800 years ago, the Ancestral Puebloans (also known as the Anasazi) built massive structures out of the red sandstone. Many pueblos exist inside the national monument in scattered areas. 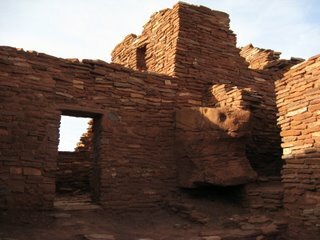 The Wupatki ruin encompasses more than 100 rooms, a circular community room, and even has a ball court, similar to those used by the Mayans. 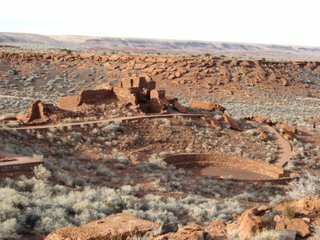 Living and farming in this place was a mixture of people, including the Kayenta Anasazi, the Sinagua, and the Cohonina. 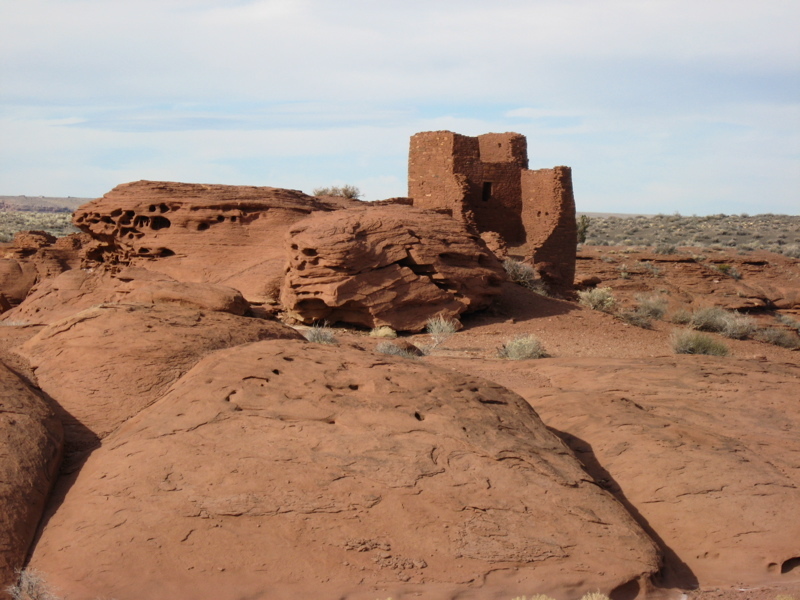 The Sinagua could live with very little water in this dry region. 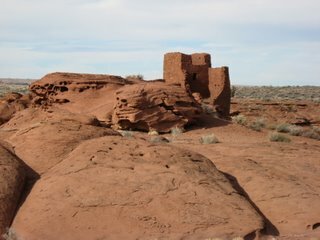 They incorporated the existing sandstone formations into the design of the buildings. Many buildings were multistoried, using wooden beams to support the upper floors. 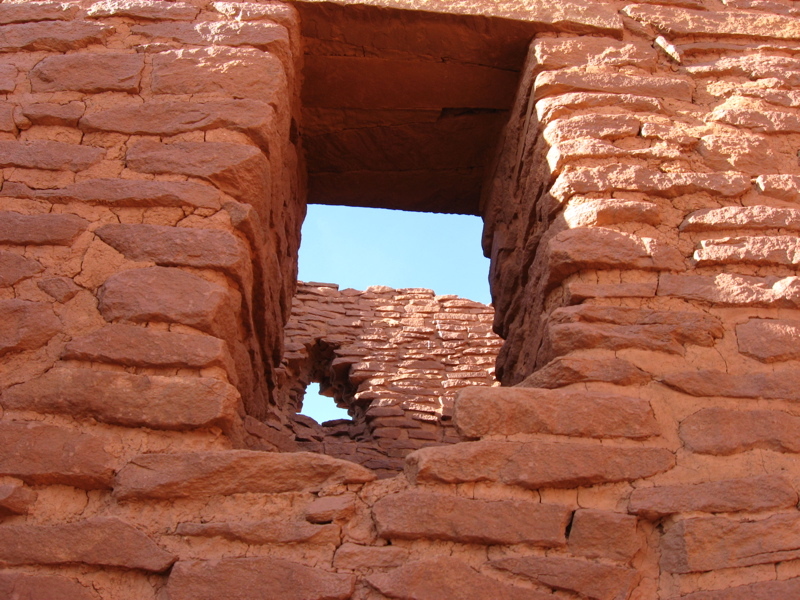 Windows gazed out at the blue sky and redrock desert beyond. We hiked around several of the ruins, including Wukoki and Wupatki itself. I imagined hearing the sounds of the builders, their laughter and storytelling, the grinding of maize on mortar stones. 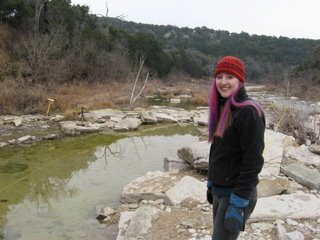 One really cool part of this area is the "blowhole," a narrow fissure in the earth with an opening not far from the ball court. 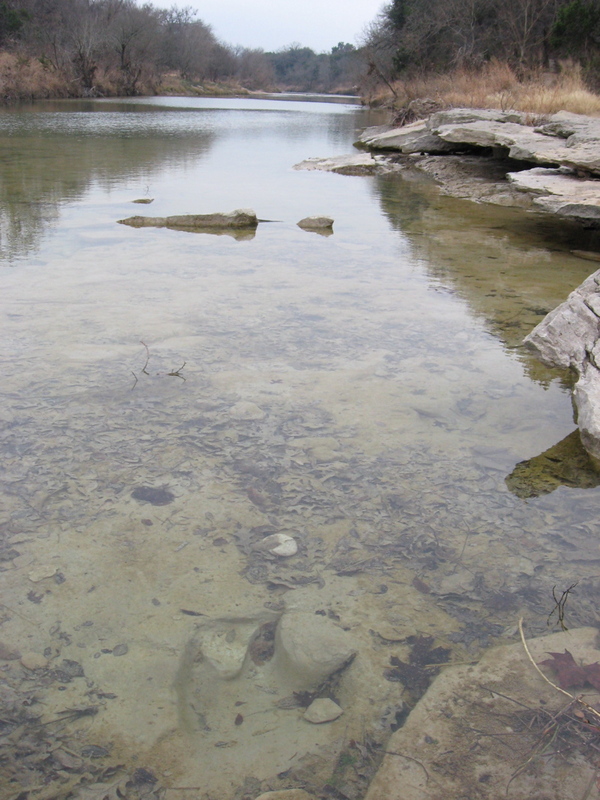 When the air is cooler outside, air rushes out of the Earth, and when it's hot outside, it surges back inward. The Earth breathes here. You can hear it whistling and surging down in the dark depths of that fissure. 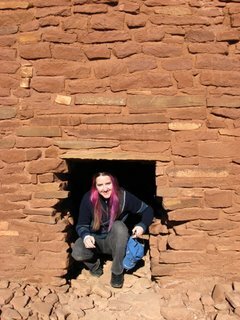 The Hopi call the blowhole the breath of Yaapontsa, the wind spirit. 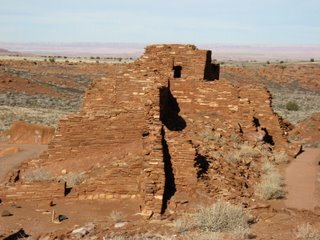 Before the main pueblo at Wupatki was built, an amazing thing happened. The ground trembled, and debris blasted out of the earth, raining down over the existing pithouses. 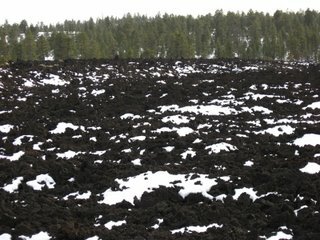 The people left the area as lava flows oozed out and cinders rained over the Earth. 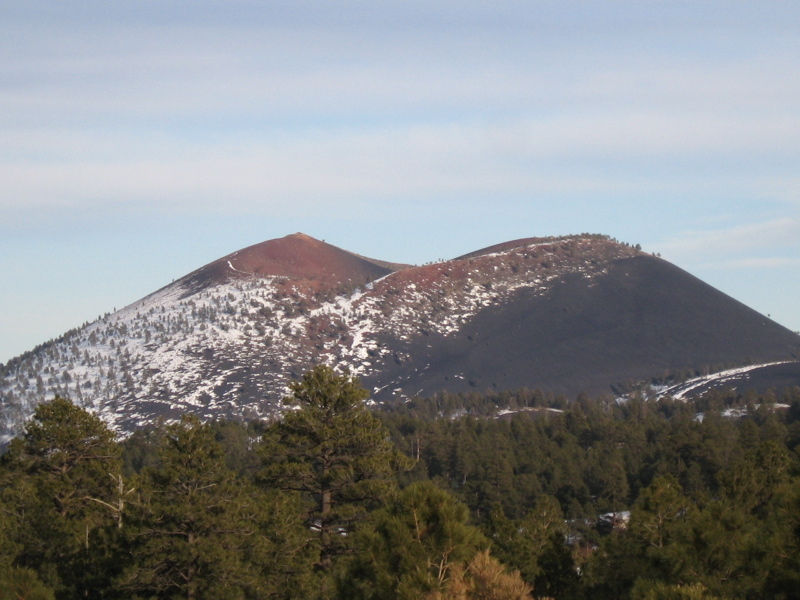 Sunset Crater Volcano sprang into being, growing some 1000 feet tall before its eruptions ceased. Afterward, the people returned to the Wupatki site and continued planting and living in the shadow of that volcano, eventually building the truly huge Wupatki Pueblo. Our next stop -- the volcano! 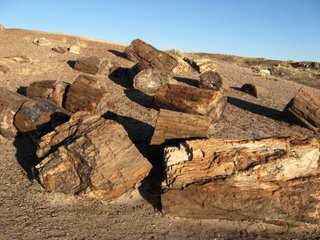 After crossing New Mexico and seeing amazing mountains and the cool city of Albuquerque, we entered Arizona to see Petrified Forest National Park. 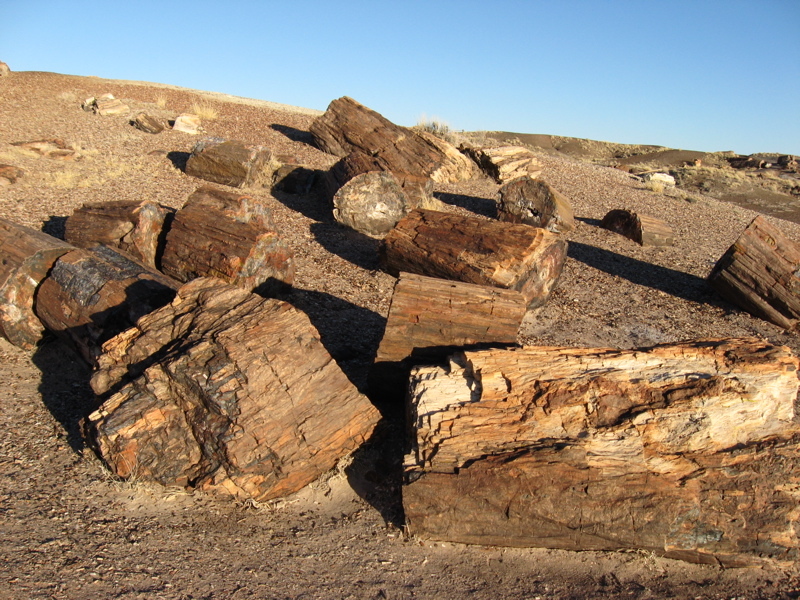 Against a backdrop of gray and red mudstone and clay formations are scattered thousands of fossilized tree trunks dating back 225 million years. So much of the wood's texture is preserved that it's hard to believe when seeing them from a distance that they are in fact made of stone. 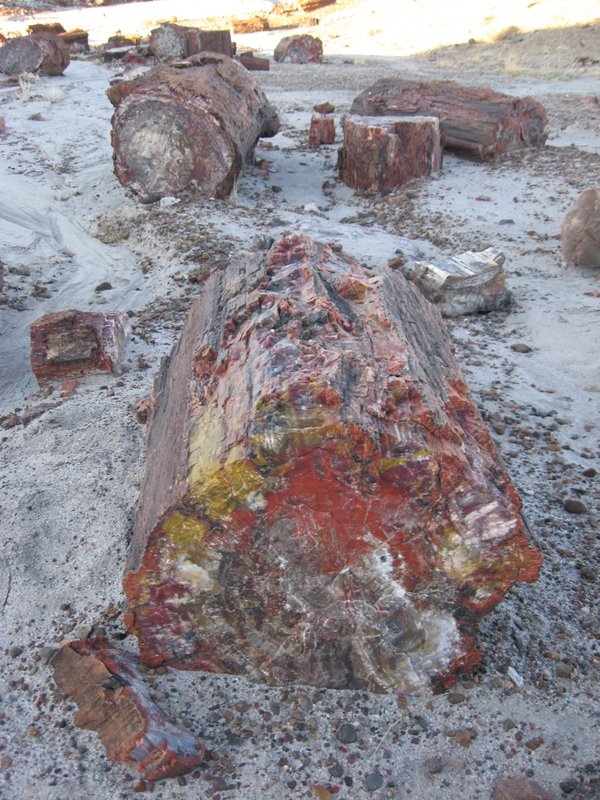 The fossilized wood is amazingly colorful and beautiful, layered with crystals of red, green, white, purple and yellow. In many places the trees are divided perfectly, as if they'd been cut with an axe. 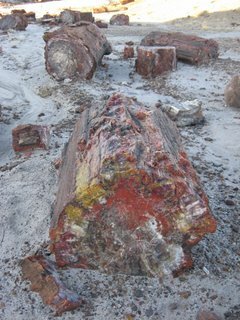 In other places, the entire length of a tree trunk is visible, still holding together. We hiked around the forest, imagining this place as it must have been all those millions of years ago, when humid tropical forests covered the area. I just did something I've wanted to do since I was a kid. I visited Dinosaur Valley State Park. At this site in 1939, a motorcycle-riding dinosaur track hunter named Roland T. Bird found some amazing footprints. 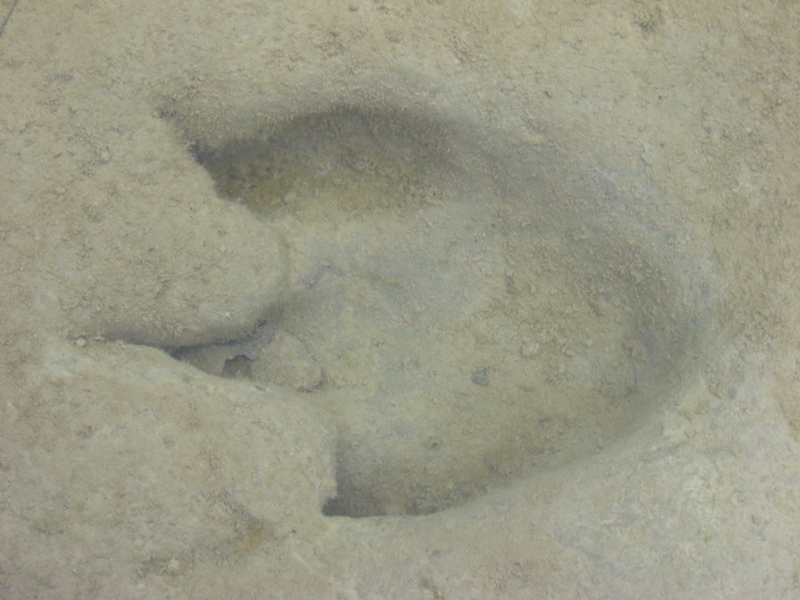 As he peered into the clear water of the Paluxy River, he spotted tracks on the stream bed. 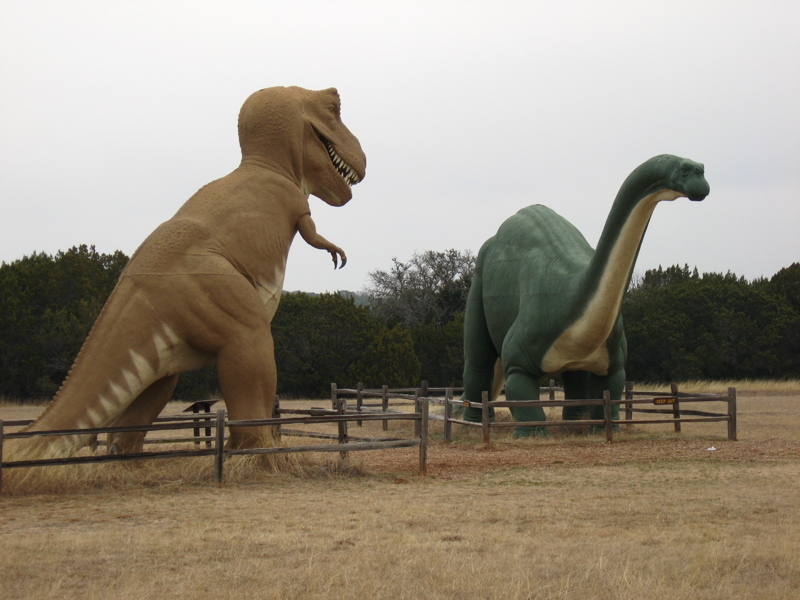 One set, amazingly, seemed to record the attack of a carnosaur trying to take down a sauropod. Working for the American Museum of Natural History, Bird cut out a portion of these tracks from the stream bed and sent them to NYC for display. The rest remain, and they are stunning. I leapt around on boulders and walked along the riverbank, seeing track after amazing track. Guarding the treasure trove of dinosaur tracks stand two dino sculptures created for the 1964-65 New York World's Fair. 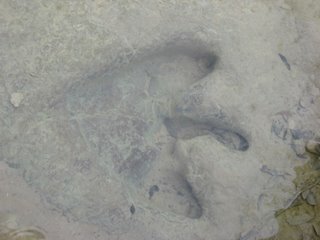 It was an amazing visit, as I stood in places where dinosaurs roamed and saw their vivid footprints today.